A helicopter carrying a crew crashed early today while filming an experimental Audi sports car going up Pikes Peak without a driver. An Audi spokesman said the pilot was airlifted to a hospital. Several crew members were also injured, the spokesman said. “No one was killed. I don't know the crash specifics,” the Audi spokesman said. According to the Associated Press, the helicopter crashed about a mile below the summit of Pikes Peak. The AP reported the pilot suffered critical injuries and the three passengers did not have life threatening injuries. “We were testing the Audi TTS at Pikes Peak. We are doing a project of an autonomous car that can drive itself,” the Audi spokesman said. The project is a joint venture between Audi and Stanford University, he said. 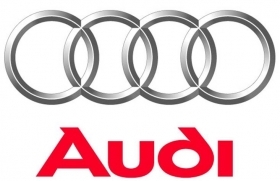 In a statement, Audi said the company is “saddened by the helicopter incident,” and said the TTS was not involved. All work on the project has been suspended. “The project goes on when we regroup,” the spokesman said. The autonomous TTS uses GSP and other guidance systems to drive without a motorist behind the wheel. Audi was attempting a high-speed drive with the car up Colorado's Pikes Peak.